But what if you don't have any friends? What if we...mounted the water bottles to each side of the helmet with tubes down to the mouth? Surely this hasn't been thought of before! @Kickmehard: Or make it black and then the tactical high speed, low drag bros will be all over it. Posted in "Why is everybody asking so much for there bikes?" 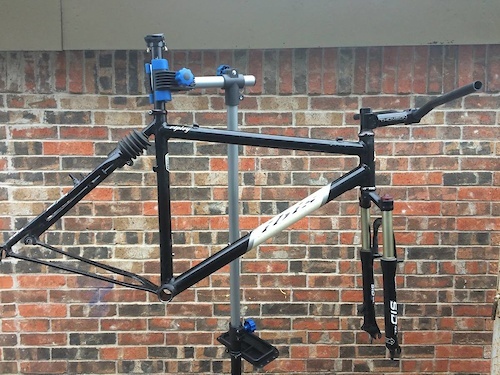 @bman33: I've bought two bikes from Performance because yes, they're the polar opposite of a LBS. Too many LBSes either have huge wait times for service unless you're their favorite, or show they don't want you business. 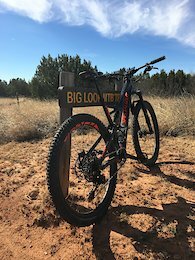 I wanted a Marin Pine Mountain 2, and the only other Marin dealer in the Dallas area never responded to my questions. The Performance in Southlake always does service right then and there, no waiting days and having to come back. Large GT Sensor Elite 27.5" full suspension bike, was completely overhauled (including front fork rebuild) last month. I've added a rear fender to keep dirt off the rear shock since the rebuild. Includes two wheel sets, the original Alex DP21 and the current Fulcrum Red Power HP. Rock Shox Sektor 130mm front fork, Fox Float CTD 130mm rear shock. Continental XKing 2.4" tires. Shimano Deore 3x10 drivetrain, Shimano Saint flat pedals.